At Harmony, our aim is to scale trust for billions of people and create a radically fair economy. We envisage the largest open consensus network built for the benefit and future of humankind. As a team, we’ve spent many hours asking ourselves, “What makes a strong network?”, “How do humans organize themselves?” and “What is the secret to a truly open and global system?” The root answer to all of these questions is in laying a strong foundation. And strong foundations need a FOUNDATIONAL community coming together. forming the base from which everything else develops. Today we announce the launch of our Foundational Node Program for the Harmony ecosystem. We’re looking for global strategic partners who are interested in running a Harmony node and in contributing to our next strategic investment round. This initiative is key to the long-term success of our protocol for three reasons. Since we use a sharded architecture, our throughput increases with an increase in the number of nodes and shards in our network. This means that in order for our blockchain to scale, we need the number of node operators to scale as well. Decentralization is critical to the security and resilience of any blockchain network. 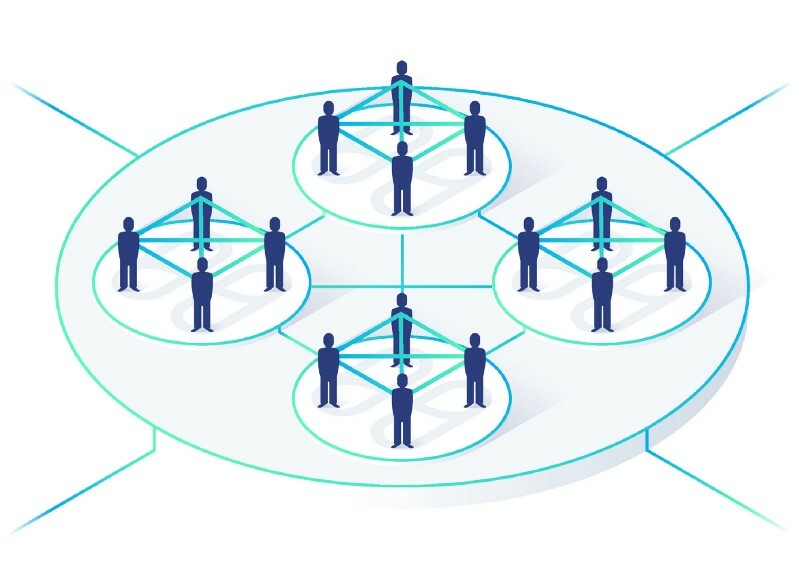 And while many projects run a majority of nodes themselves, or rely on a small number of firms to do so, we seek to have an organic and globally distributed network of node operators to ensure that our network is decentralized from the start. This is a key step towards bootstrapping a robust decentralized network that is spread across the world. Our protocol is only as strong as our community is. The sophisticated technology we are building is crucial, but equally important are the people that believe in and support the Harmony network. This initiative will drive Harmony’s success as a whole, by bringing scale and decentralization to the network, while broadening and strengthening our community. APPLY NOW to become one of only 100 Foundational Node Partners! The partners who sign up to run Foundational nodes shall be participating in the Proof-of-Stake (PoS) validating network on our mainnet, which shall be launched in mid 2019. Each node operator will be entitled to staking rewards. More details of the rewards will be shared with the community in the following weeks. In order to reserve your staking tokens for the launch of the network, you will need to make a minimum investment. What are the requirements to operate a Foundational node? The approximate requirements and expenses for running a Foundational node will be similar to operating an Amazon AWS M5.Large Instance. Specific details and documentation will be provided soon. For anyone not familiar with running nodes before, the Harmony team will work with you to get you started. What are the expected returns from running a Foundational node? At the moment we do not have the exact answer. As soon as testnet and additional benchmark tests are conducted, we will have a better idea. At that point we will also publish our findings to ensure transparency and conversation amongst our community. Can I run a Harmony node on the mainnet without investing right now? Yes, you absolutely can! This current program is strictly for strategic partners, but in the future we will launch a “Node Drop” campaign. The node drop campaign will be like an airdrop, except that you will earn your tokens by running nodes for the Harmony network, both on testnet and mainnet. Reach out to us here if you are interested! What is the difference between Foundational nodes on the mainnet versus running a node on the testnet? The Foundational nodes are going to be participating in the PoS validation on our mainnet. These node operators also have an option of participating in open mining for Harmony’s testnet. The detailed steps of running nodes for the testnet, along with the related technical support will be shared in advance by the Harmony team. We will be sharing timely updates on our research forum: talk.harmony.one. This is not an Initial Coin Offering. This program is an invitation for the first 100 (Foundational) node operators on the Harmony blockchain. The strategic partners will have to invest a minimum of $10,000 USD and this process is going to be fully compliant with regulations. We require each strategic partner to do KYC/AML with our partner platforms — CoinList for US participants and Opentoken for non-US participants. We look forward to welcoming our Foundational Node Partners to support the Harmony network. Let’s build the decentralized future together! Thanks to Gavin and Nick White.